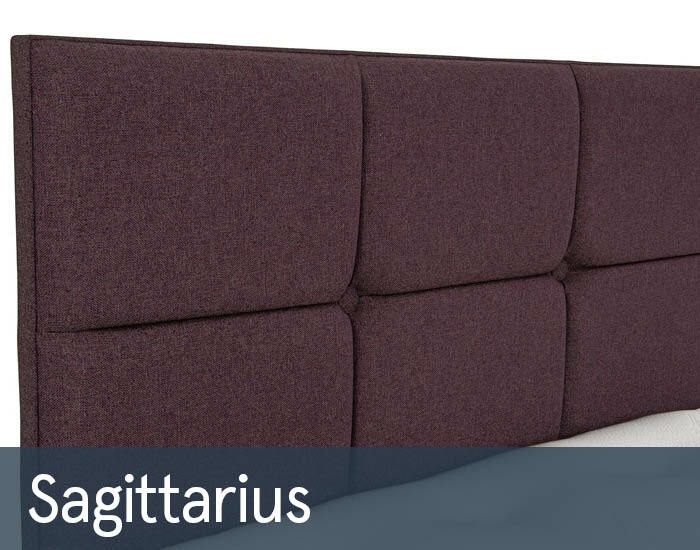 The Sagittarius headboard is the perfect finishing touch for your divan base. The headboard is upholstered in high quality complementary fabrics designed to suit any bedroom style. It is also available in a choice of sizes. The headboard can easily be fixed to the Cousins Bespoke Collection divan or ottoman base of corresponding size.